The Prisoner of Zenda is a Victorian adventure novel by an English author called Anthony Hope. It tells the story of an Englishman named Rudolf Rassendyll who goes on vacation to a fictional mid-European country of Ruritania, where he gets involved in political intrigues. Rassendyll is nearly an identical twin of the local king, also named Rudolf, whose half-brother Michael is plotting to seize the power. 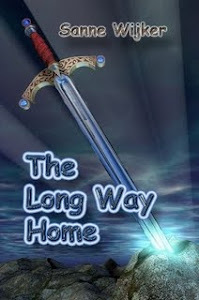 The king gets first drugged, and then kidnapped and Rassendyll is persuaded by the king's friends to take his place as to save the country from civil war. Rudolf of Ruritania is engaged to Princess Flavia, but doesn't seem to care much about her, being a closet alcoholic. His English cousin, however, falls in love with the girl, and she answers his feelings. At this moment, Rassendyll gets thoroughly tempted to abandon the king to his fate, but he withstands the temptation and chooses to do his duty, and so, in the end, does Flavia. There have been several film adaptations of the novel. I have only watched the 1937 version, and I would recommend it to everyone who likes retro films and Victorian love stories. Here is the duel scene where you can see Russendyll and the "dashing villain" of the novel, caddish Count Rupert of Hentzau, played by Douglas Fairbanks Jr.
Another famous actor in this film was Raymond Massey who also played Citizen Chauvelin in the 1934 version of the Scarlet Pimpernel. There was also the screen version from 1952 which I haven't seen.